Bedbugs are small, flat, parasitic insects that bite the skin of sleeping humans or animals in order to feed on their blood. 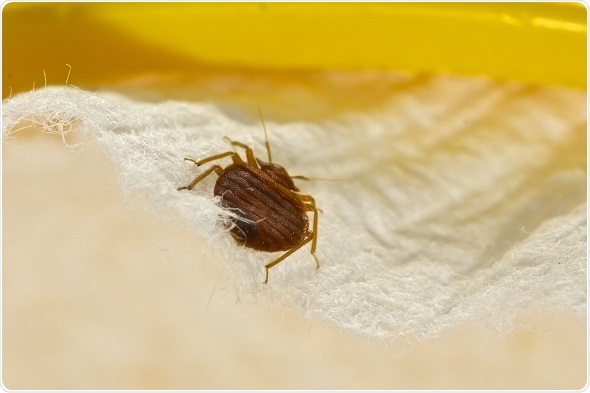 Wingless and reddish-brown in color, bedbugs range in size from 1 to 7mm and hide in places such as mattress seams, headboards, bed frames, box springs, dresser tables and in any clutter that may surround a bed. Some people do not react to bedbug bites, while others develop allergic reactions that give rise to itchy, red skin and clusters of blisters or hives. During the last century, improved hygiene measures and the use of insecticides almost led to the elimination of bedbugs. However, these insects have re-emerged in increasing numbers to the extent that they now represent a global epidemic. The 2009 Community Health Survey showed that bedbug infestations requiring an exterminator were reported by 9,934 individuals in New York City during the previous year. The 2011 Bugs Without Borders Survey carried out by the National Pest Management Association and the University of Kentucky reported a sharp increase in bed bug prevalence, with almost all respondents (99%) reporting an infestation during the past year, compared with a mere 11% more than ten years ago. Experts think that the increase in bedbug numbers and their distribution may be linked to changes in pest control strategies, rises in international travel and the bugs becoming resistant to insecticides. 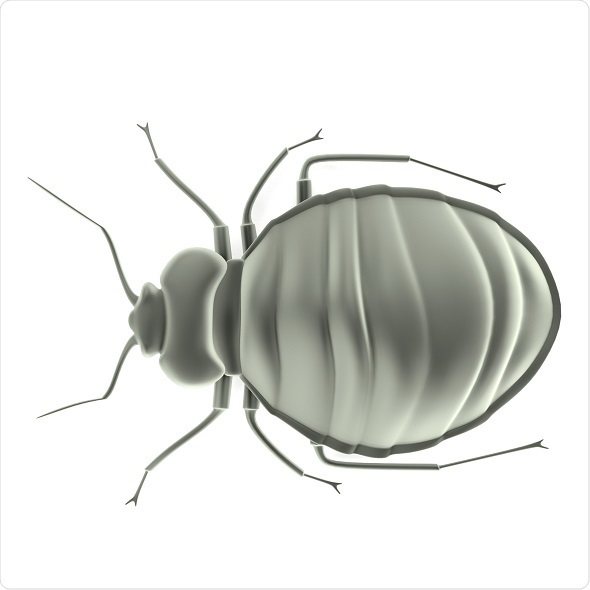 Bedbugs can travel about as fast as a ladybird. They tend to move about undetected and breed quickly, making a bedbug infestation one of the most challenging to eliminate. Furthermore, these pests naturally move away from light and they respond well to tight spaces, making them difficult to find during the daytime while they are hiding. Seventy-three percent of respondents to the Bugs Without Borders Survey pointed to bedbug infestation as the most difficult to treat, which compared with 17% who said ants, 9% who said cockroaches and 1% who said termites. Despite the United States spending more than 500 million dollars on bedbug management every year, no effective and economic tool for detecting bedbugs has yet been developed. However, the results of a recent study suggest that researchers may have finally developed a bedbug trap that could be used to locate these pests. In their hiding places, juvenile and adult bedbugs often gather together in clusters, which are maintained by an aggregation pheromone. Significant efforts have been made to understand the olfaction and behavior of bedbugs in order to home in on the exact composition of this aggregation pheromone, which could potentially be used as a chemical lure to trap the bugs. However, the pheromone lures so far developed have failed in field studies, a problem that some believe is linked to a missing “contact” pheromone. Gerhard Gries and colleagues from the Simon Fraser University, Canada, have recently discovered that the bedbug aggregation pheromone comprises three volatile pheromone components (VPCs) that it was not previously known to. They also found that a less volatile component, histamine, is included in the pheromone. In the team’s study, traps baited with a blend of two known volatiles for bedbugs, the three new VPCs and histamine were found to effectively lure bedbugs. While the VPCs attracted bedbugs to the traps, histamine caused arrestment of the bugs upon contact. In premises infested with bedbugs, cardboard sheltered traps baited with the complete pheromone blend (VPCs and histamine) were significantly more successful at capturing the bugs than un-baited control traps and traps baited with VPCs or histamine alone. The traps were also tested in apartments where bedbugs had been observed and of 27 bugs captured, 26 were found in traps laced with the full pheromone blend. In order to characterize potential aggregation pheromone components, a state-of-the-art nuclear magnetic resonance (NMR) spectrometer was required to analyse the minute amounts of chemicals extracted from bed bug feces and exuviae (shed cuticles). 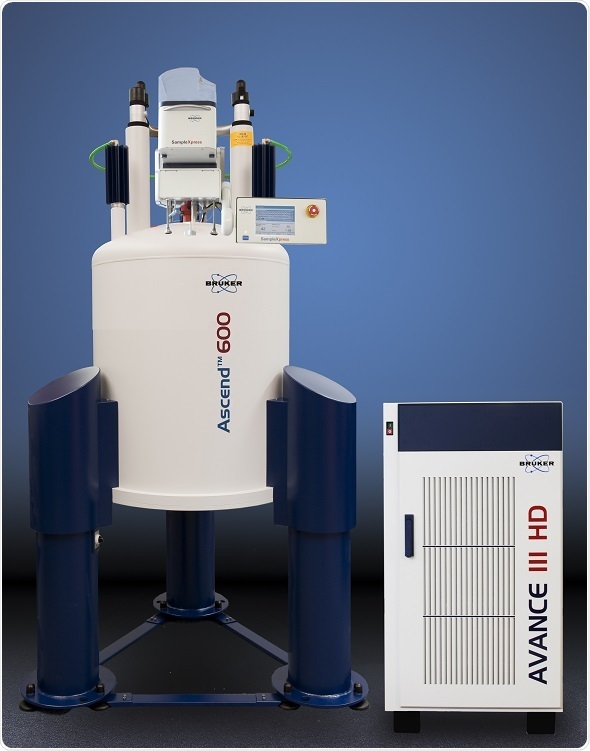 The team used two Bruker Avance 600 MHz NMR spectrometers to examine the proton (1H) NMR spectra acquired for bioactive extracts and identify clues about their appeal to bedbugs. These instruments are equipped with four different probes including the TCI CryoProbe Prodigy, which uses cooled radiofrequency (RF) coils along with 1H, 2H and 13C preamplifiers, to provide a significant boost in 1H sensitivity.